The Medaglia d'Oro all'Architettura Italiana 2018 (2018 Gold Medal for Italian Architecture) was the sixth edition of the competition, which is held every three years under a partnership between Triennale di Milano and the Ministry of Culture. On the morning of Friday, October 12, Triennale di Milano hosted the awards ceremony and the first edition of the T Young Claudio De Albertis Prize, established by the committee of the same name in memory of the well-known Triennale curator who passed away in 2016 and intended for promising young Italian architects and engineers. The winner is presented with a cheque for thirty thousand euros, to be used for educational purposes. The 2018 prize was awarded to architect Simone Gobbo, founder of Demogo, for Bivacco F.lli Fanton, a mountain refuge in Marmarole, Belluno. The 2018 Gold Medal for Italian Architecture prizes and honourable mentions were presented to projects by Italian architects and engineers built in Italy or abroad between 2015 and 2017. Triennale di Milano chairman Stefano Boeri emphasised that the Gold Medal for Italian Architecture’s important mission is to map and draw attention to contemporary Italian architecture. The architect known for the Bosco Verticale project emphasises that the award-winning projects stand out not only for their innovative design but for their strong focus on urgent needs of contemporary living, such as sustainability, dialogue with space and the environment, and social responsibility”. 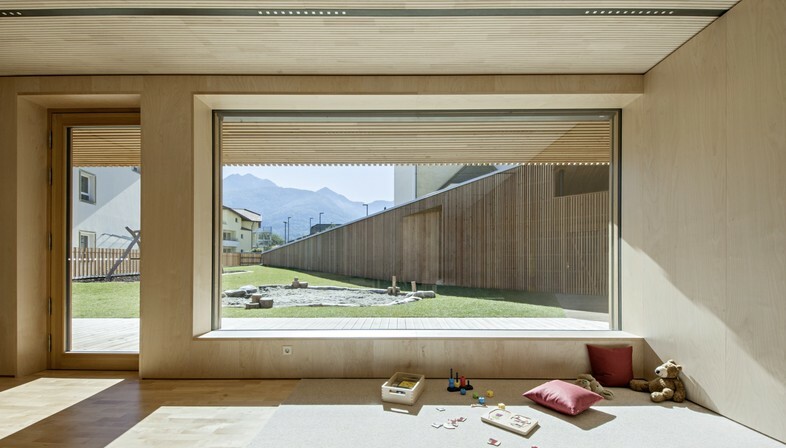 Niederolang Kindergarten in Olang, Bolzano by feld72 was selected among 349 candidates for the 2018 Gold Medal for Italian Architecture 2018. 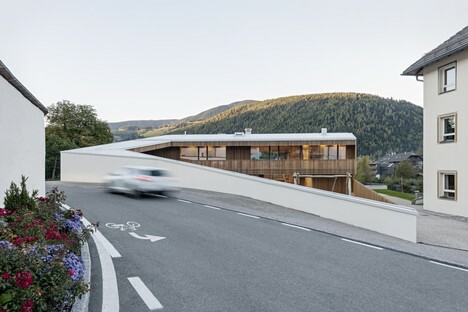 The building, as Mara Corradi notes in an article published in Floornature, replaces a previous construction and passes on the architectural legacy of the Val Pusteria and Alto Adige in a building that is both functional and symbolic. Four Gold Medals for Lifetime Achievement were awarded to architects Umberto Riva, Paola Viganò, Guido Canali and Valeriano Pastor, while the Special Prize for a First Project went to Casa Sociale Caltron in Cles, Trento by architect Mirko Franzoso. The Archaeological Superintendency of Puglia and the Regional MIBAC Administration received the Special Prize for Clients for Edoardo Tresoldi’s 2016 project Dove l’arte ricostruisce il tempo (“Where art rebuilds time”), a reconstruction of the Basilica di Siponto in Manfredonia, Foggia. to Giulio Barazzetta and SBG Architetti for the Restoration of the Church of Nostra Signora della Misericordia in Baranzate, Milan, in the Conversion and Restoration category. 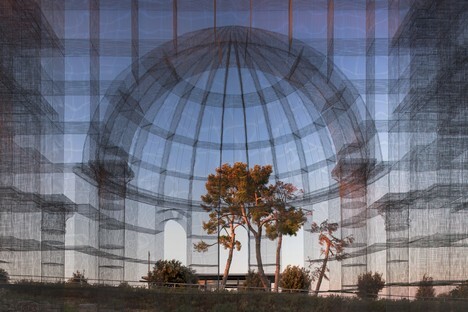 The winners and honourable mentions in the various categories of the Gold Medal for Italian Architecture and the finalists for the T Young Claudio De Albertis Prize are all featured in an exhibition curated by Lorenza Baroncelli at Triennale di Milano, open to the public until November 11, 2018.